Hello everybody ! Welcome to this week’s blog. It’s been a busy October long weekend 2011, with gigs for the 5-piece band plus the duo, so this will be one of the less detailed blogs, but hopefully still of interest. 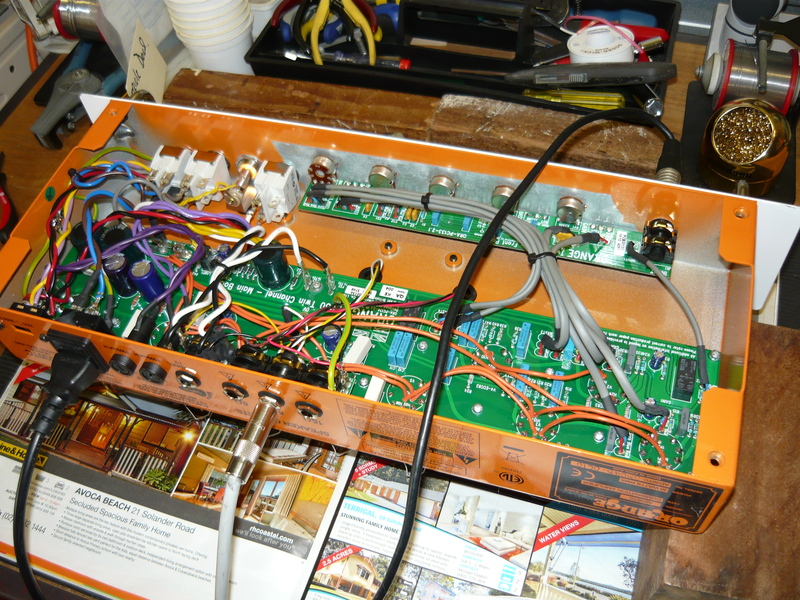 Actually, we have been repairing Orange Amplifiers for years, but not the warranty claims. Bondi Intermusic (Sydney) have sent us quite a few over the years for servicing. 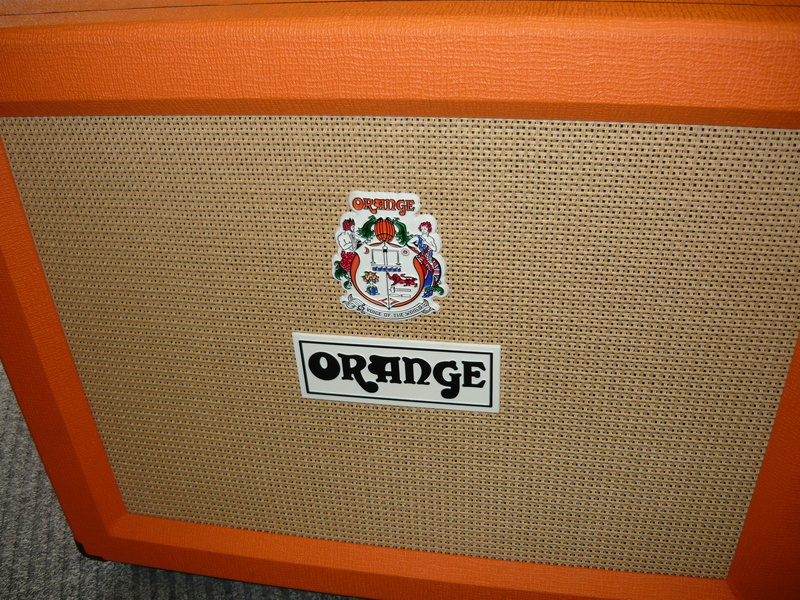 With the possible exception of the made-in-China Tiny Terror series, the Orange amps have been consistently well made and have presented very few servicing issues. The modern Orange amp has a particular sound, which is quite different to the original amps from the 60’s/70’s, which had a huge clean sound, and baxandall EQ, which is not everybody’s cup-of-tea. The recent amps have more conventional passive/interactive EQ and a contemporary “British” sound that is more appropriate for grungier styles ( to our ears anyway). If you are the lucky owner of an original Orange or Matamp from the 60’s/70’s (and most definitely the current Matamps, which are an excellent boutique-grade amp from the UK), and you want your amp serviced/overhauled/restored by someone who knows what they’re doing and has a genuine passion for this kind of work, then please contact Ivan Richards Audio. 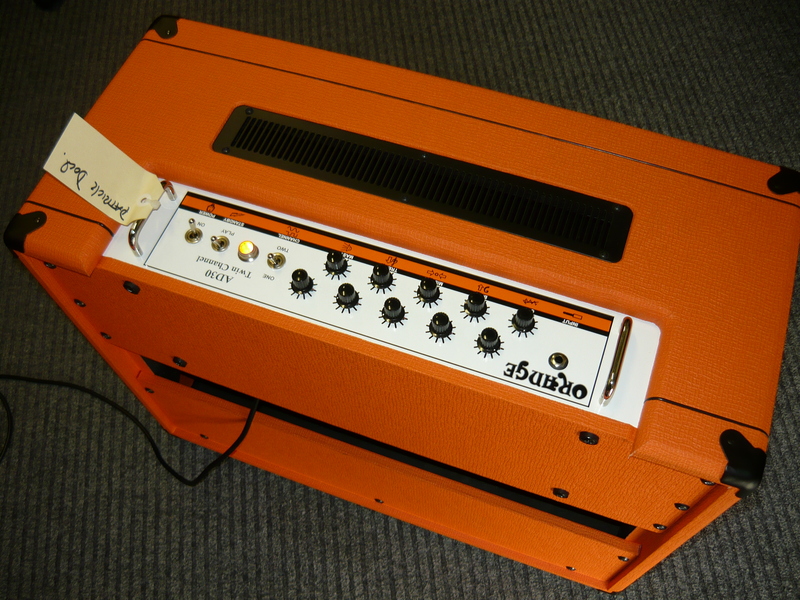 Orange amplifiers are distributed in Australia by the same people who distribute Gibson & Epiphone guitars. If you have a warranty service claim there is a procedure to be followed. First thing is to contact the dealer who sold you the product. They will book it in with the distributor. A repairer to resolve the warranty claim will be nominated by the distributor on the basis of both competency and geographical location. The AD30TC 2×12 combo amplifier in the photos belongs to a regular customer of ours, a working muso (with a day gig), based on the Central Coast of NSW. 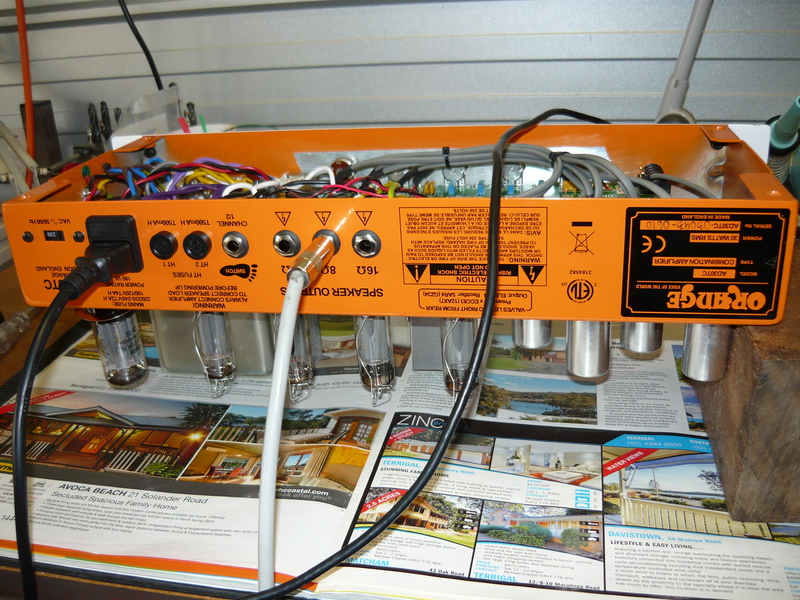 The almost brand new amp just “stopped”, and the warranty repair was referred to us via Turramurra Music (Sydney). The reason soon became clear after removing the chassis from the cab (not a quick job, by the way) – one of the internal fuses was “blown”. The fuse protecting the 6.3V AC heater supply to the valves (tubes), to be precise. However, in this case the blown fuse was not indicative of a bigger problem, it was just one of those things that happen, usually at the most inconvenient time. We replaced the fuse and subjected the chassis to a power output test, burn-in test, electrical safety test, and final play test/functionality test. All OK ! 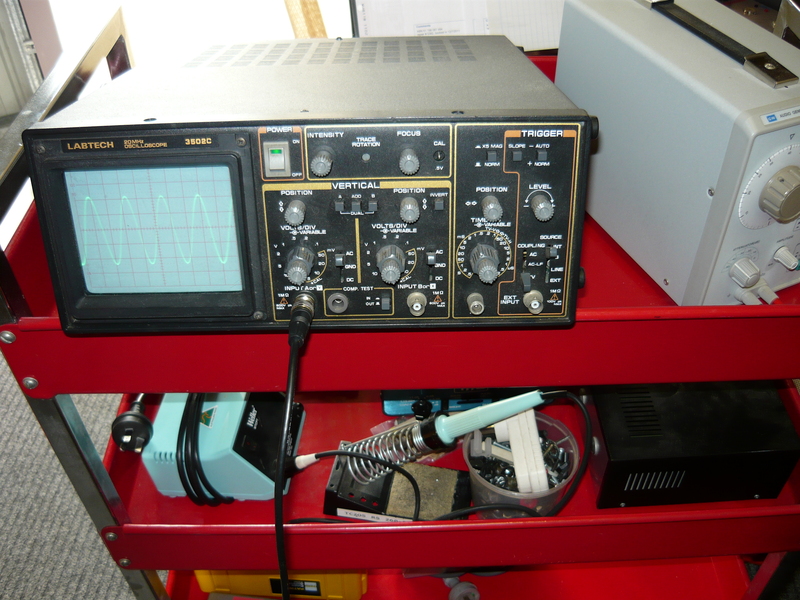 In the final photo, it may not be very clear from our crap photography in workshop lighting conditions – but we are observing a sine wave on the oscilloscope, as part of the power output test for this amp. This is one procedure for checking for abnormal amplifier behavior under load and also accurately measuring the audio power actually delivered to a nominated load, for example – 8 ohms. By the way, just a suggestion – if you have a bad back – don’t invest in one of these 2×12 combo’s ! They are seriously heavy. More next week – Ivan R.
This entry was posted on October 3, 2011 at 12:00 pm and is filed under Amp Repair, Amps. You can follow any responses to this entry through the RSS 2.0 feed. You can leave a response, or trackback from your own site.